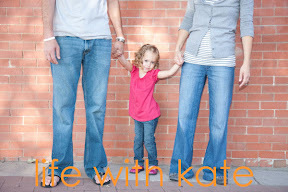 For a while I have debated telling the latest in Kate's medical journey. Most of Kate's medical issues have been fairly minor but at times they seem to be never ending. I feel that once we figure out one thing another issue pops up. 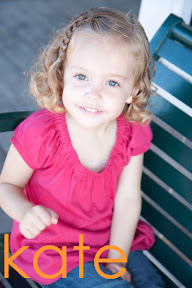 When Kate was seven months old she started having ear infections. At first they were every other month, then every month, and then the infections started not to clear and it would take at least two doses of antibiotics for them to clear. 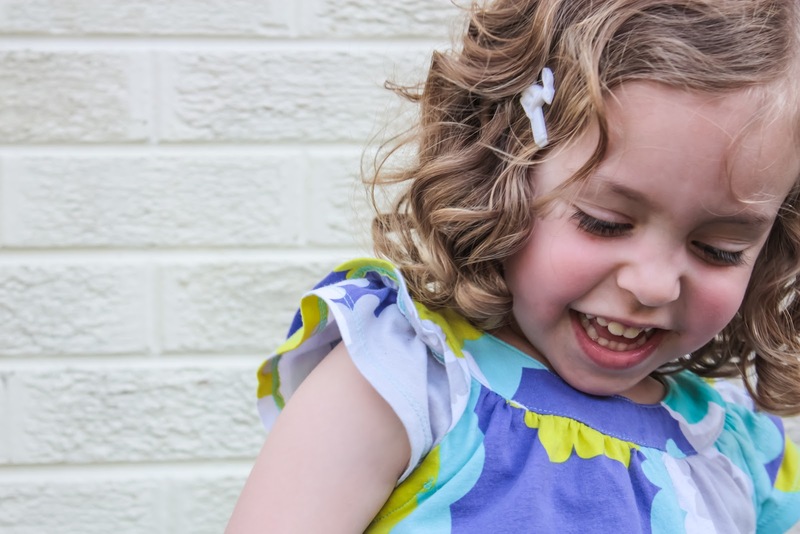 At nineteen months Kate got tubes in her ears and the ear infections disappeared. Everyone said that she would be a different kid at this point. She would be healthy, gain weight, and start to thrive. Well Kate does not follow the path that most take. That winter she started to get respiratory infections. She had RSV and pneumonia. She was always full of mucus. We had her tested for allergies. Nothing. When winter turned to spring she was a sad little girl. Always coughing. In a span of a week we visited the doctor four times. She could not get control of her cough. I could see her working hard to breath, she was having fevers off and on, and one day her lips were an ashy-blue color. 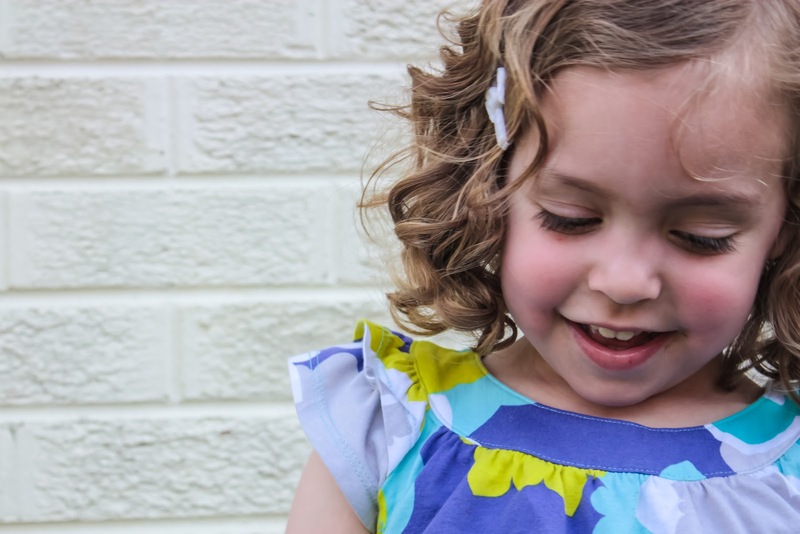 Through my persistence she was able to see her own pediatrician who diagnosed her with asthma. That has lead to a daily inhaler. Most days you never notice she has asthma. Most days she is thriving. But when she gets sick she goes down hard. Her asthma flares and she is a sad little girl. But we manage. We get through. This year has been one of the best years for Kate. She has only had one or two colds. None have turned into pneumonia. Her asthma has been well controlled. She has started to really gain weight. She has become a healthy child. Amen. In the fall Kate's teacher brought up concerns about Kate's speech. I had been having concerns for a while. I knew her speech was not normal, I knew people could not understand her, I knew this was causing her a great deal of frustration. Kate loves to talk and more importantly wants her voice to be heard. I had brought up these concerns before but it had always been determined that it was all developmental and she would grow out of it. But she was still struggling and thankfully I was finally granted a referral for her speech to be evaluated. In her evaluation it was determined she has an open mouth bit that causes her to push her tongue through her teeth when saying certain sounds, she tends to slur her words together, and she rests her tongue down and/or out. 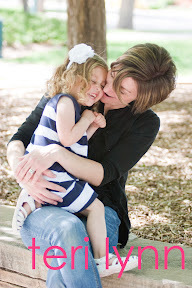 We were referred to a speech therapist and the journey began. Speech therapy has been a slow journey. We are now up to three sounds being corrected. Two she can correct out of isolation beautifully. The third she gets about 50% of the time in isolation. She is also learning where her tongue should be placed. Lots of practice holding her tongue in her resting spot. This is only done if she is prompted. Because of where Kate rests her tongue her speech therapist became concerned that she may be doing this because her airway is restricted by her adenoids. She asked me to bring this up at Kate's four year check up with her pediatrician so I did. At Kate's four year check up I brought up the concern about her adenoids. Kate's doctor was also concerned about how hoarse Kate sounded. She thought Kate might have acid reflux and referred us on to an ENT. I was a nervous reck walking into the ENT appointment. I knew surgery could be in her future and I could not/did not want to process that thought. Needless to say the appointment was one of the worse appointments I had ever been to. It worse than having her scratch tested for allergies. The doctor attempted to remove her tubes that were sitting in her ear canal (on the outside of her ear drums.) Kate was screaming in pain. Then to check the hoarse issue Kate was scoped through the nose. She was not sedated, I held her in my lap, the nurse pinned her head against my shoulder. Kate screamed and I cried. It was one of the worse things I have experienced as a mother ever. The scope determined that she did have acid reflux and she had nodes on her vocal cords. This is due to how she is using her vocal cords to talk (and scream.) This can be corrected through speech therapy. The ENT felt that her tonsils and adenoids were not causing any major airway obstruction. The doctor felt that Kate might have gotten into the habit of being an open mouth breather due to all the respiratory issues she had earlier in her young life. Just to make sure there was not obstruction going on the ENT ordered a sleep study. For a night Kate was hooked up to a pulse-ox machine at home. It was fairly easy. When I watched the numbers her O2 levels stayed steady and in the mid-90. I thought we aced the test. 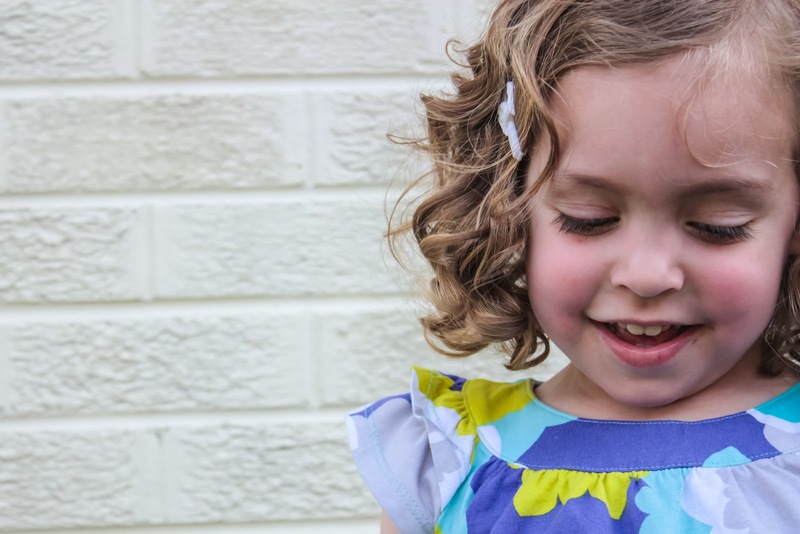 A few days later I got a phone call from one of the nurses from the ENT office letting me know that the test revealed that Kate did have some sleep apnea and obstruction in her breathing at night. This meant that she would need to have her tonsils and adenoids out. Ugh. Gracefully they allowed me to wait and schedule the surgery in the summer. So here we are. 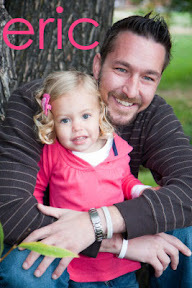 Kate is scheduled to have surgery around 8:30 am next Monday, June 18th. The surgery take about an hour, we will spend three to four hours in recovery, and then her recovery will continue at home. Full recovery will take three to four weeks. She is under no circumstances allowed to have any type of crunchy food for three weeks. She is will have very limited activity the first week and then gradually allow her to build her activity level as she feels up to it. My biggest fear at the moment is the recovery process at home. If she nicks one of the scabs and causes any bleeding she has to go back to the OR to have it stopped. It makes want to jump off the crazy end and only feed her mushy, soft, food for three weeks. But that reaction would cause major weight loss, which would easily put Kate back under 30 pounds. It will be a tricky balance that I very nervous about it. Right now I am determined to take it one step, one hour at a time. Surprisingly I am not nervous about her going under anesthesia. She will be having the same type of anesthesia she had when she had her tubes put in. So that makes me feel a little better. I know I will be a nervous reck the morning of surgery. I will be putting on my brave face while waiting with her pre-op and fall to pieces the minute she is taken back. I am as prepared as I can be. I know what Kate will be going through in these next couple weeks is truly minor compared to what other children and families have been through. I know there are moms and dads who wish their only troubles and worries are the ones I am facing at this minute. My prayers are with these children and these families. Regardless of the outcome of all of this I know Kate will be okay. She will be okay here on earth. And if God has other plans for her she will be okay in His home. I am so thankful for those who have been praying and sending positive thoughts during this journey. This is not a journey I want for Kate, myself, and Eric. But this is our journey and this is our life with Kate. As I was talking one day with a girlfriend of mine I told her I was not bitter about this newest chapter. I know there is a story to tell. Maybe by telling Kate's story another family will find comfort and know that the troubles they are facing with their own child will be okay. So here it is the newest story, the newest chapter in Kate's life. Prayers and good thoughts are always welcome. And thank you. Thank you for listening. Thank you for supporting. Thank you for being my strength when I am weak. Thank you. Friend, i am so thankful to read this and know of what's going on in your heart/mind. i'm so sorry that you have had to go through what you have with Kate's health. It makes me so sad for her too. thank you for sharing so honestly. my heart feels heavy for you and i am praying for you. one thing i have realized in what we are walking through, is that everyone's journey is oh so different and cannot be compared. this is the life that you have known and the journey that you have had to walk. i love you friend. see you tomorrow! I wish more than anything I could take this away for Kate and you but like you said, it is your journey. What I have learned from my journey is that I am stronger than I ever knew I could be. And you too will find your strength. My thoughts and prayers are with you and yours, today and through the weeks to come.